This is a wonderful, light meal to enjoy on a hot day. I found both recipes in the June issue of Food Network Magazine, made some slight changes and they are delicious! 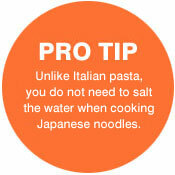 Prepare the soba noodles: Bring a large pot of water to a boil. Add the soba noodles and cook according to package directions, about 3 minutes. Drain in a colander, reserving about 1/2 cup of the cooking water and rinse under cold water. Shake off the excess water. Prepare the curry-peanut sauce: Puree the peanut butter, curry paste, vinegar, lime juice, cilantro, 1/2 cup water and 1 teaspoon salt in a food processor or blender until smooth. Return to the soba noodles. If they're sticking together, rinse under cool water briefly. 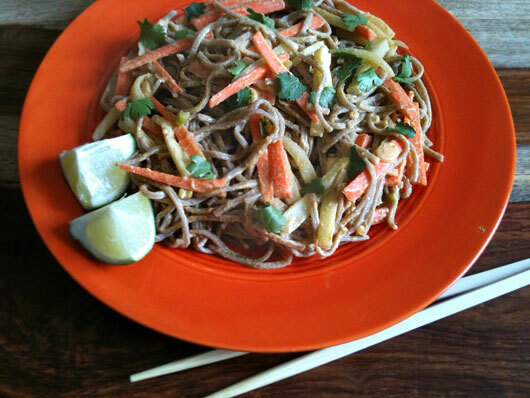 Toss the soba noodles with the peanut sauce, scallions, cucumbers and carrot in a large bowl until coated. Season with salt and stir in some reserved cooking water to loosen the sauce, if necessary. Transfer to plates and garnish with cilantro leaves. Serve with lime wedges. 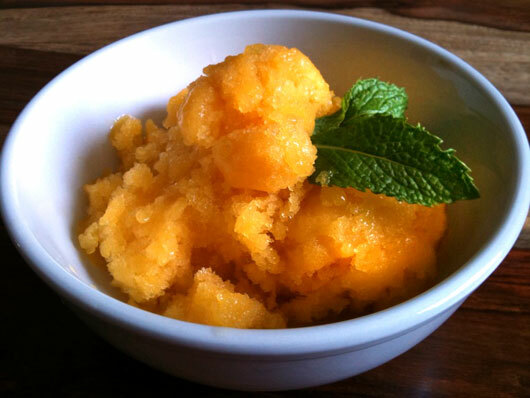 Make the fruit mixture: Blend the mango, sugar, agave and lemon juice with 2 cups of ice in a food processor or blender until chunky. Add another cup of ice and blend until completely smooth. Pour the mixture into a shallow baking dish and freeze for 30 minutes. Scrape the ice with a fork until slushy, then freeze until firm, about 2 more hours. Scoop into bowls, garnish with fresh mint leaves and serve. *When choosing curry paste, be sure to read the ingredients. Many jarred pastes contain non-vegetarian fish sauce. If you can't find one without, you can make your own using this wonderful, all-natural, pure veg recipe.